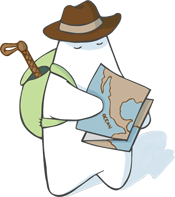 Map-reduce is a way to summarize and run aggregation functions on large data sets, potentially stored across many servers, in an efficient fashion. It works by processing the data on each server in parallel and then combining those results into one set. It was originally designed by Google and later implemented in database systems such as Apache Hadoop and MongoDB. An optional group operation which partitions the elements of the sequence into multiple groups. A map operation which filters and/or transforms the elements in the sequence (or each group) into a new sequence (or grouped sequences). A reduce operation which aggregates the values produced by map into a single value (or a single value for each group). Some other map-reduce implementations, like Hadoop’s, use the mapping step to perform grouping as well; RethinkDB’s implementation explicitly separates them. This is sometimes referred to as “group-map-reduce,” or GMR. RethinkDB distributes GMR queries over tables and shards efficiently. You write GMR queries with the group, map and reduce commands, although as we’ll see in our examples, many ReQL commands compile to GMR queries behind the scenes—many common map-reduce cases can be accomplished in one or two lines of ReQL. A map step that transforms each post into the number 1 (since we’re counting each post once). A reduce step that sums the number of posts. We won’t need a group step for this example. "title": "The line must be drawn here"
"content": "This far, no further! ..."
RethinkDB has shortcuts for five common aggregation operations: count, sum, avg, min, and max. In practice, you’ll often be able to use these with group these rather than writing your own map and reduce functions. A group step that groups the posts based on their category. The map step from above. A reduce step that sums the number of posts for each group. Then as before, we map each post to the number 1. Commands after the group command will be applied to each grouped set. First, let’s return the total price per customer. Since this is pre-computed per order in the total field, this is easily done with one of RethinkDB’s aggregation functions. Now for something more complicated: calculating the total and average quantities sold per item. For this, we’ll use the concat_map function, which combines mapping and concatenation together. In this case, we want to produce a sequence of all the items sold throughout all the orders with their item IDs and quantities. We’ll also add a “count” field set to 1; we’ll use this the same way we used the mapping of each post in the blog example. The inner map function is just being used to iterate through the items in each order. At this point, our query will return a list of objects, each object with three fields: item_id, quantity and count. Now, we’ll group by the item_id field and use a custom reduce function to sum the quantities and counts. Finally, we’ll use ungroup to turn this grouped data into an array of objects with group and reduction keys. The group field will be the item ID for each group; the reduction field will have all the items from the concat_map function that belong to each group. Then we’ll use map once more to iterate through that array, computing the average on this pass. RethinkDB’s GMR queries are distributed and parallelized across shards and CPU cores whenever possible. While this allows them to execute efficiently, it’s important to keep in mind that the reduce function is not called on the elements of its input stream from left to right. It’s called on either the elements of the stream in any order or on the output of previous calls to the function. The number of documents on shard 1 is computed. The query returns the value 4 for the shard. The number of documents on shard 2 is computed. The query returns the value 6 for the shard. The final reduction step is executed to combine the values of the two shards. Instead of computing 4 + 6, the query executes 4 + 1. Be careful! Make sure your reduction function doesn’t assume the reduction step executes from left to right! For more information about map-reduce in general, read the Wikipedia article. For more information about RethinkDB’s implementation, browse our API documentation.